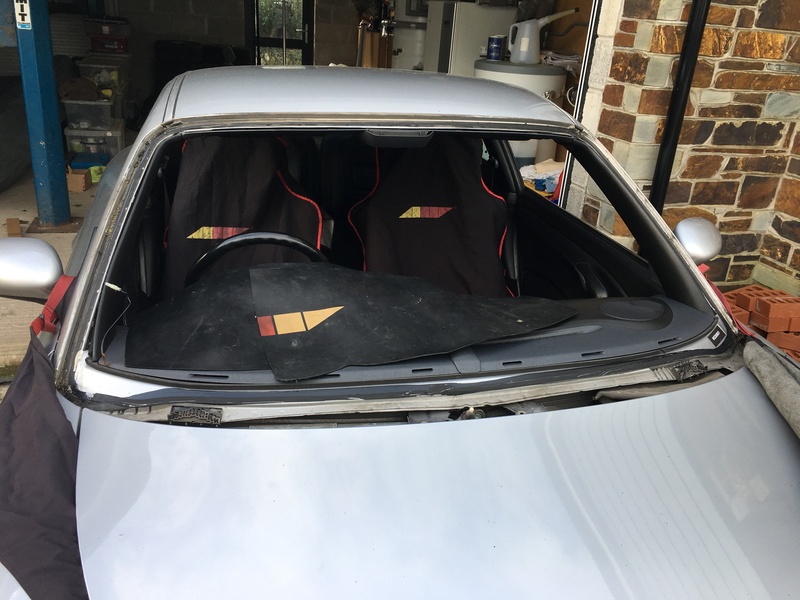 It's not the tidiest 996 but it's mine and I hope to slowly rolling restore it + use the lack of 'mintness' to my advantage and just enjoy driving it as a fun road car. In September, I started 'casually browsing'. 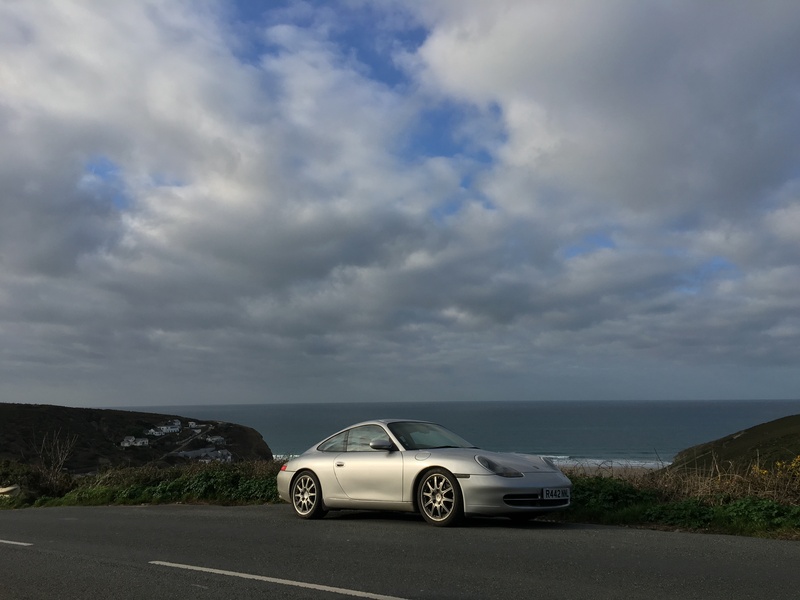 My 'budget' allowed for a Boxster, Cayman, 996 gen1, or 996 gen 2. Cayman S = quickest and best handling. No questions asked! My friend's is a peach and the Thruxton Cayman S I did my ARDs in would leave any of the 911s I've since driven for dust. But it's not a 911. 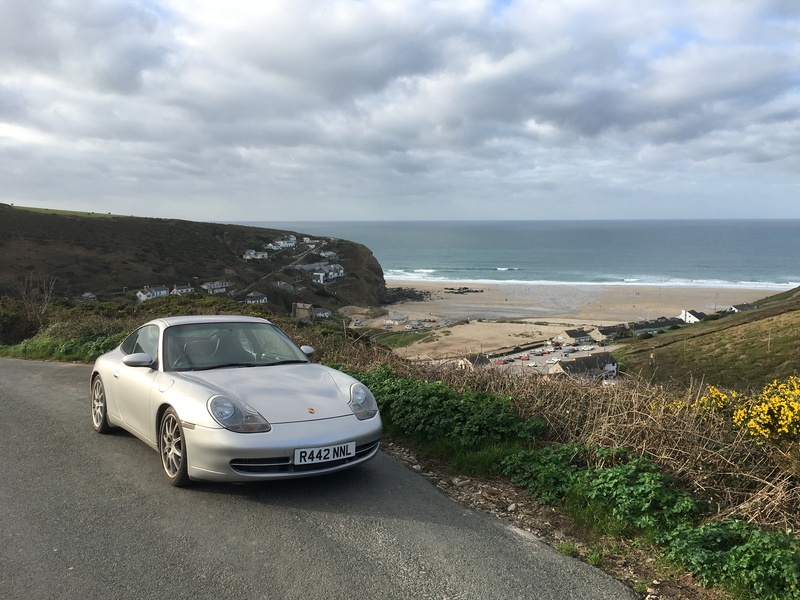 Boxster S = joyful top-down motoring and the best noise. On a crisp November night, top down, it was hard to beat and a great experience. First time I've just gone for a drive for a very long time. But it's not a 911. Having got this far I then further foolishly got a little spec obsessed. It had to be a manual C2, ideally with mo30 (irrelevant, the suspension will be so old it needs replacing), L220 (irrelevant, an LSD isn't much to retrofit and it's not like 911s struggle for drive out of a corner), black sport seats, three-spoke wheel, non-sunroof, no-nav, good history (including a rebuild from a reputable specialist), and silver, black, or dark blue. And, I found it! 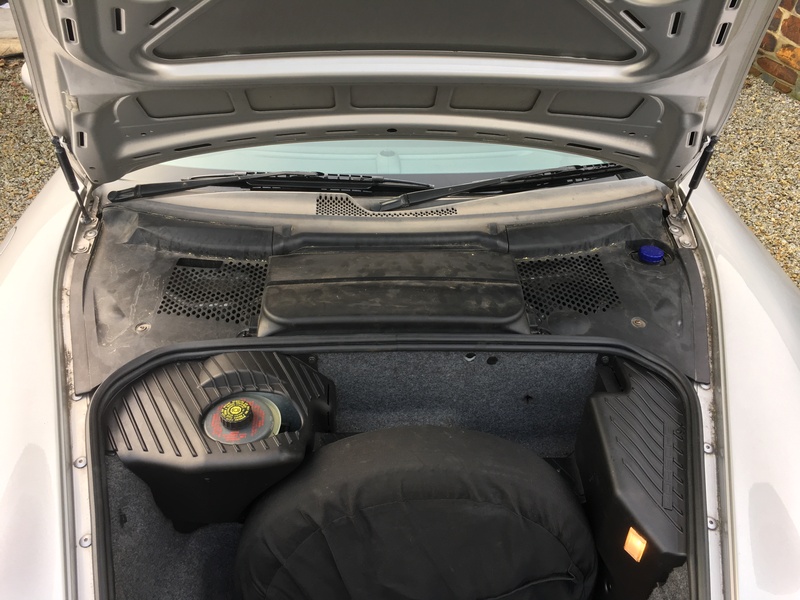 A 2002 Gen 2 in Silver with full Hartech rebuild, 85k, 5 years of Hartech Service History, recent tyres, black sports seats, and the three-spoke wheel. It wasn't perfect, it had a sun-roof and nav... I watched it fail to sell and contacted the eBayer whilst also finding the original advert here on 911uk. While at the Final Circuit Days' Rockingham Raceway Trackday, it sold. Typical! It had been for sale since September with 0 interest. Undeterred, I'd double down on my previous spec 'logic' and decided it had to be a gen1. Throttle cable me up! Sorry, I have 0 'logic' to offer. One thing led to another and we ended up here. Keep up at the back Rob, he even posted a link to it. Welcome Olly. I think I recognise some of your stuff from P’heads? Enjoy the car, good choice. I love that Jethro vid too. Welcome along buddy. I’m in much the same boat as you. 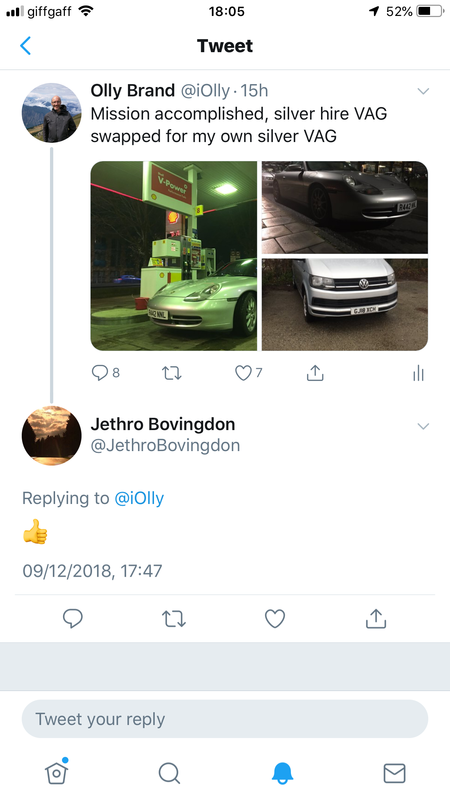 Every other option wasn’t a 911 and my own car is more or less a project. 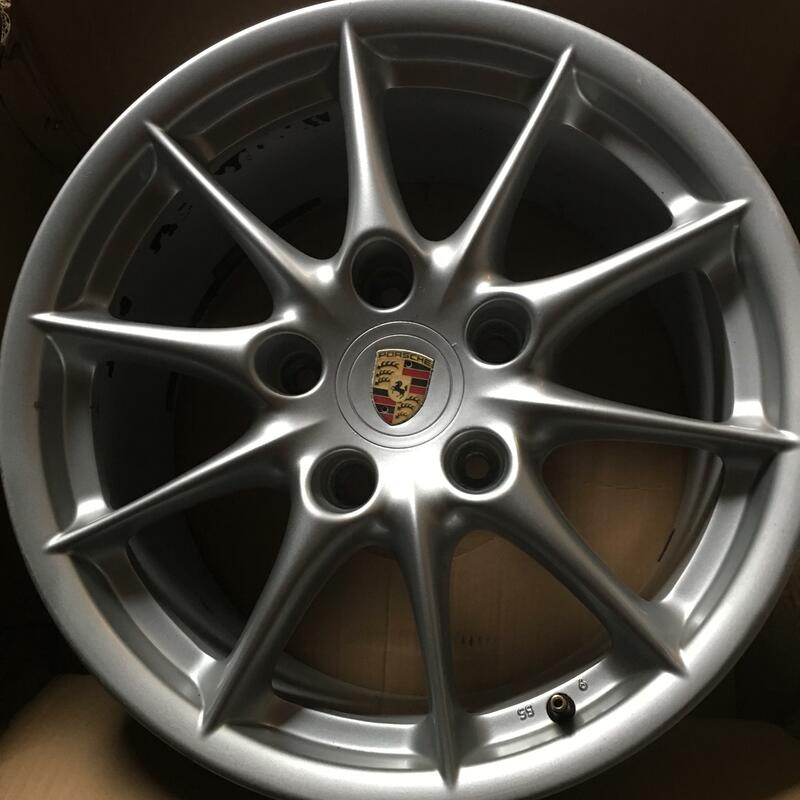 Car looks stunning, they're my favourite wheels on the 996. 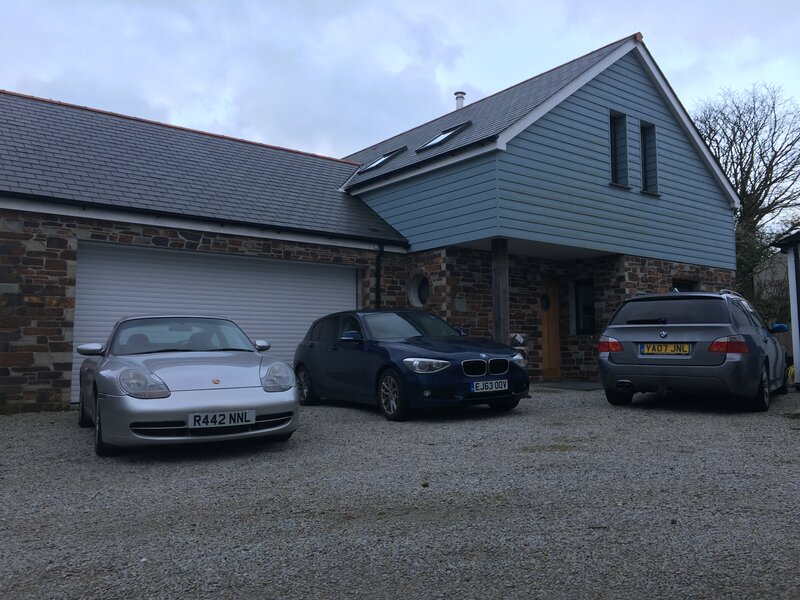 I have severe garage envy. 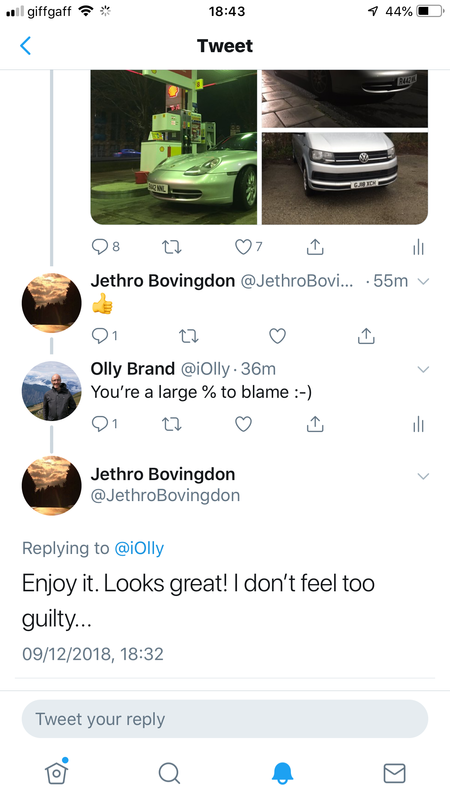 Olly - glad to hear you finally got Your 911 - isn't it a great feeling when it finally happens? Kudos on the car and kudos on having a ramp in the garage - how many of us would like one of those too! To hell with resale; drive it hard, enjoy it, enjoy maintaining it. The 911 came lightly modded with lower temp thermostat, H&R springs, and Dansk rear boxes. It's also had lots of work done like replacement fuel lines, rads and AC condensers. 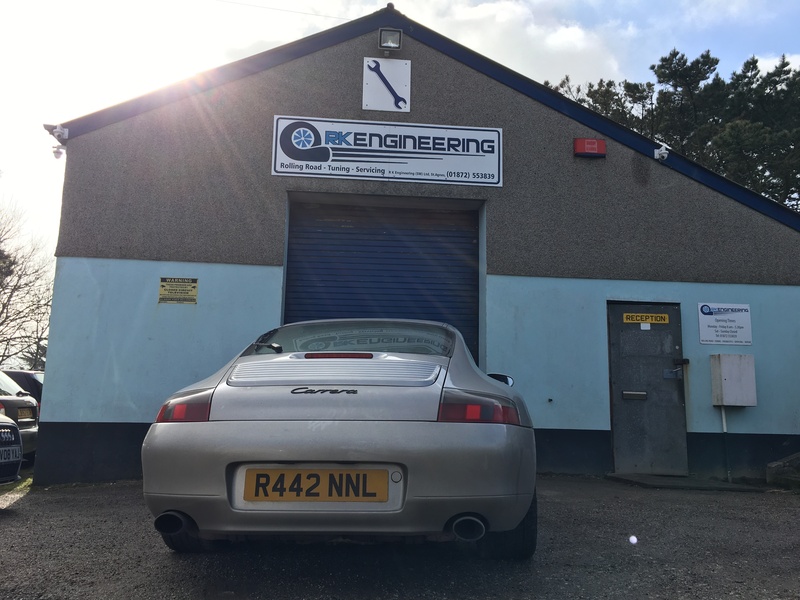 The service history is extensive and lots of common issues with the 996 have been addressed previously. This and the price being at the lower end of my budget added to the appeal of the car and offset its scruffiness. Last drive before service, late night pick up. With the honeymoon period over and 1000 miles driven, it's MOT and first service time. Before the MOT the screen was delaminating and cracked. A call to Autoglass and £75 equated to relief at seeing no rust and a new screen fitted. The car is filthy so this was also an opportunity to start cleaning it. With the screen done it was the dreaded first service. The car was booked into RK Engineering for "whatever they thought it needed". Oh god, that's scary even with them being good friends. The service history includes receipts for Hartech's recommendation of Millers 10W60 and recent discs and pads. The last service was 12 months and 2k ago, although the mileage is low it's not worth skimping (IMS etc, etc, etc). Opie suggested Millers was good but we foolishly asked what the best was. The plan is to swap oils/service every 6k and/or 12 months. 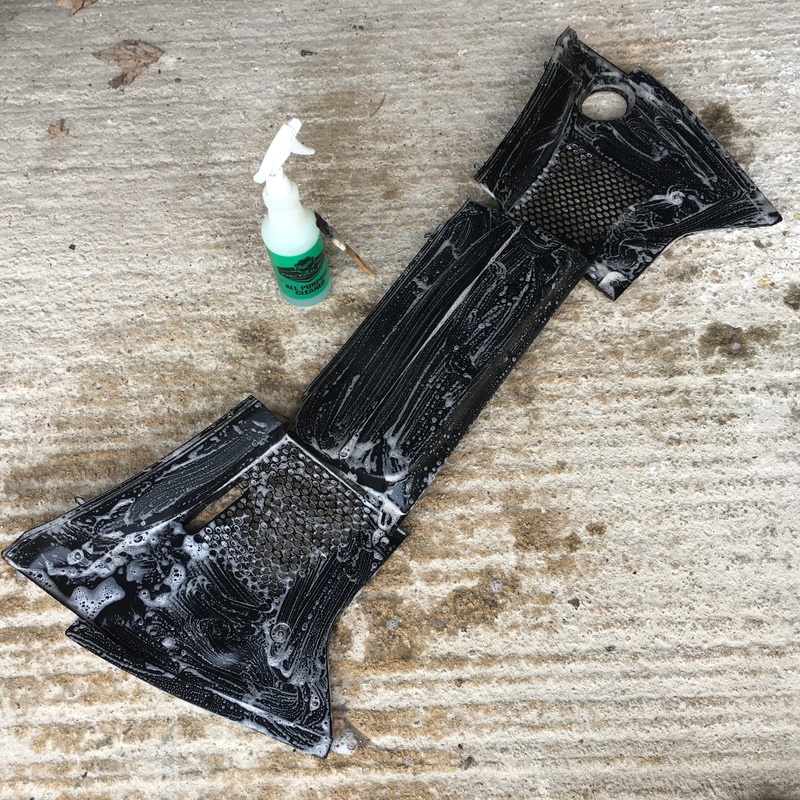 The removed oil looked clean and free of debris! Taking the sump off confirmed the same. It has clearly been off in the past but no indication of any issues or things for me to worry about. A big relief!!! While in the air we also noted the gearbox isn't original, and unfortunately, it's not been swapped for one with an LSD. I'll see how it goes. If a rebuild is required in my ownership we'll look to re-add one then. So now I have two lists. 1) Anti Roll Bars, torn as what to do. Replace with a factory unit on eBay or buy Eibach or H&R replacements. 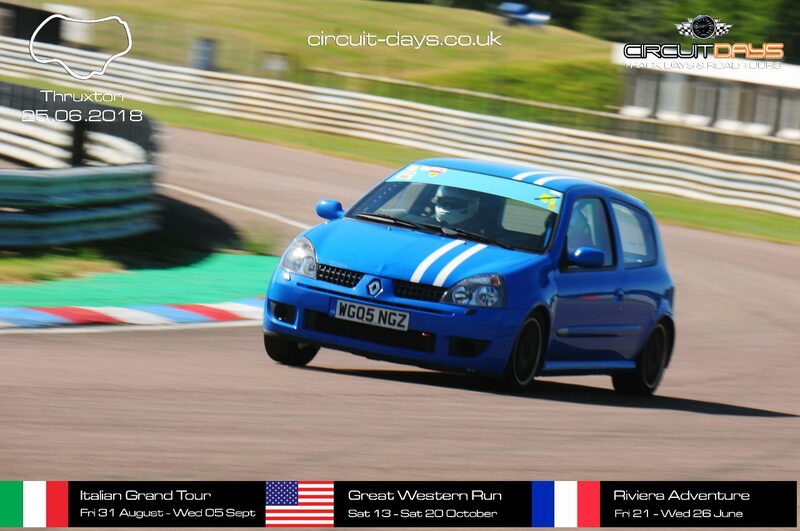 2) Tyres, the 18s are in an awful state and I want to try some 17s. A quick eBay later and presently ordering some PS4s. Debating 205 (factory) vs 225 (sensible?). The 10 spoke a lighter wheel so it should be interesting. If the ride isn't improved on 17s and I don't like the looks I'll get the 18s refurbed (as I like them the most so far). 3) Book MOT and pray lots. I'll be honest, the above caused me a few sleepless nights (the rust is intermittent ongoing sleepless nights) and I was hoping to avoid this trap and negative impact. The 911 is a fourth car and precariously hovering in the 60% love it, 40% would like freedom from its inevitable issues and want a Caterham. It's been a dream to own a 911 since I can remember. I'm hoping this is a dip while the MOT is pending and I can't drive it. Either way, a few trips and uses are being planned to further ingratiate it. The oil not being full of debris has helped a lot. The MOT will help more (just don't mention the rust). In the wise words of Jethro, I need to enjoy it! Yes, I think we spoke and you spoke to my friend who'd just bought the seal grey gen 2? One of your first outings? The GT3 looked mega going round. Thanks all for the nice comments and encouragement. I'm dyslexic so feel free to point out any Ollyglish. The garage is another work in progress. We built 4 years ago and I keep derailing finishing the house with car projects, track days, and racing . Much to my better half's dismay. 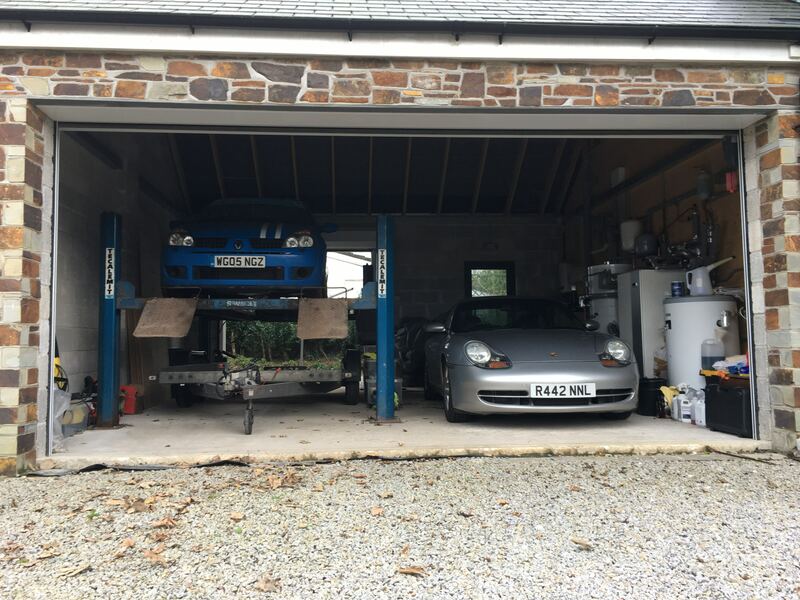 The lift was a freebie and neat way to store the trailer, Clio and a 911 . 2 mins in, ish . The bearings sometimes go on these boxes so replacement for a good used one is not unheard of as rebuild is often over a grand. No big loss as the LSD plates were probably worn out too. You only really miss an LSD on trackdays anyway. Get a new gearbox front bush f you drop it. I'd also recommend a 997/987 shifter mech as a good mid point between the too short shift kits and standard 996. Check the brake pipes over the gear box and in front of steering rack. Check steering rack pipes (can be replaced cheaply). Remove plastic sill trims at the rear, flip out the bungs inner and outer that allow access to the sills and cavities and see more rust. See http://911uk.com/viewtopic.php?t=124928&postdays=0&postorder=asc&start=100 for mine. Have poke around the chassis going back from the front subframe mounts. The thick underseal gets chipped and traps moisture. These are 20yrs old, the galv has done its job now! But catch it and liberally apply cavity wax to stave the welder off. 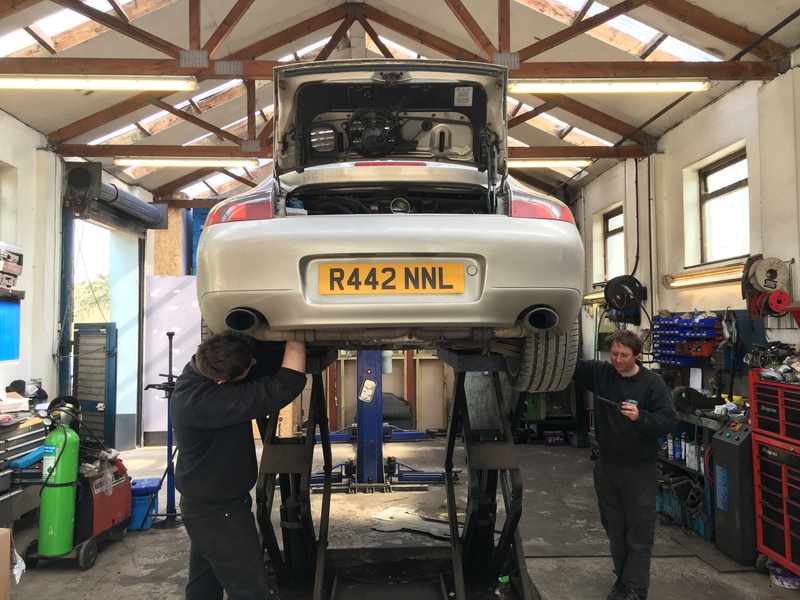 If I see wonky or low tailpipes on a 996 I think "engine mounts". Cheap and easy. Roll bar I would just get a good used one until you decide....you might go full ohlins on us! You will notice a difference on the 17s, I had heavy C4 17's on mine and I remember the ride being better than the 18s i got. I have a set of 10 spokes the same as yours to go on next time I need tyres. Thanks, wasz! That rust/crust looks all to familiar!!!! Do you run 205 or 225 on your front 17s? The advice from wasz above is spot on. You're gonna fit in well here!